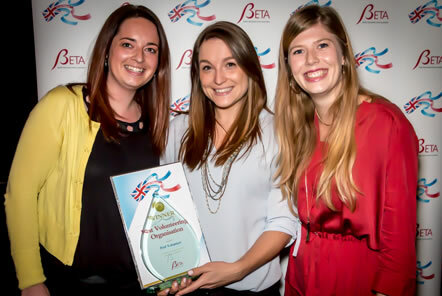 We are delighted to have officially been named the Best Volunteering Organisation by the British Youth Travel Awards 2015! Having been shortlisted for the award for the second year in a row, the Pod Volunteer team attended the award ceremony in London this December and were elated to receive the gold award and win this very prestigious category. We are absolutely thrilled to have been received this level of recognition, however this award is certainly not just for us in the UK and Pod Volunteer is the sum total of all of our projects around the world. We work with outstanding projects; animal sanctuaries, educational programmes, research and conservation initiatives, community development and children’s outreach projects that are staffed by incredible local people, making a huge impact to the communities they work in. We would like to thank all of our wonderful project partners around the world for the fantastic work that they do and for inspiring us every day. We would also like to say a huge thank you to all of our volunteers who have supported Pod Volunteer, Pod Charity and our projects around the world over the last 15 years. The event was judged by an independent panel of experts from the youth and travel industry including Fiona Jeffery OBE (Founder and Chairman of Just a Drop), Graham McKenzie (Founder of TravelMole.com and board director of Responsible Travel) and Sandie Dawe, CBE (Chief executive of VisitBritain). The ceremony was hosted by outdoor adventurer James Ketchell who is the first person to cycle the world, row the Atlantic and climb Everest. We particularly loved hearing about his time in Nepal on Everest as both Becky and Gemma from the Pod Office have also visited the Himalayas in Nepal. Our submission included a number of case studies from our projects around the world that we will be sharing over the course of the next year on our blog. We would also like to say thank you to our friends at TypeCraft for donating the binding of our submission and thus helping us to win!